Moulded fibre is biodegradable and can be recycled. Our moulded fibre in Europe is FSC®-certified. Moulded fibre combined with a robust product design offers a protective strength far superior to plastic. Hartmann’s moulded fibre egg cartons and egg trays are known for their efficiency, runability and problem-free denesting on all machine types. Hartmann’s premium white and coloured egg cartons offer a high carton finish with a smooth surface for crisp and clean colours and direct print.  Plenty of space on the egg carton for a large label and a wide array of opportunities for creative label design, such as peel-off labels, make it easy for the shopper to make the right choice. Effective protection facilitates on OTIF deliveries while attractive POS branding and messaging mean fast-moving sales. Hartmann’s FSC®-certified moulded fibre packaging is made from recycled paper. The packaging itself can be recycled and reused and is also biodegradable for easy disposal after use. Excellent shapes with good handling properties mean efficient stacking, high machine runability and low storage requirement. Consumers prefer environmentally friendly packaging that is FSC®-certified and carbon neutral as well as packaging that keeps contents dry by absorbing humidity. Use the egg carton product finder to see which Hartmann packaging solutions best fit your products and brands. Simply select an egg size and the number of eggs per carton or tray. Packaging that is expressly designed for runability and storage logistics enables maximum uptime, maximum throughput, minimum costs and on-time in-full (OTIF) delivery. Robust packaging designed to prevent or minimise breakages enables complete delivery, maximum revenue and full customer satisfaction. Attractive packaging that is aligned with the brand and consumer preference means higher sales and higher margins. Effective sales tools as well as knowledge support build customer confidence and ensure the right packaging for producers’ products. Data on local and regional market egg consumption combined with consumer insights provide a strong platform for customer guidance and business efficiency via procurement planning. Wholesalers value professional advice and support from Hartmann, which helps them streamline their business, increase egg packaging sales and maximise margins. The right egg carton design for the right product based on documented market data and consumer insights maximises saleability of private label products. Documented regional and national consumer preferences for particular products enables procurement and shelf management that maximise sales revenues and margins. Using Hartmann’s design tool enables you to visualise a given egg carton type using numerous graphic designs and colours, providing print-ready design data for the printer.